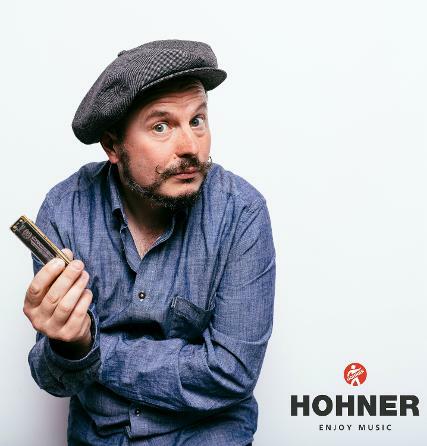 Belgian Hohner endorser Steven Troch is a Jack-of-all-trades and a master of some, sings like he means it, blows a badass harmonica and writes his own songs. This winner of two international harmonica contests draws inspiration from the old bluesmasters and players like Gary Primich, William Clarke, Steve Baker & Joe Filisko. He fronts the STEVEN TROCH BAND which is one the finest bands playing contemporary and vintage style blues you will hear in Europe today. Steven embraces the exciting acoustic and amplified bluessounds of Chicago and combines them with different influences, always adding his own personal touch. Steven has amazed critics and audiences alike with his straight-ahead blues and he's been noted for his own interpretations of blues material. Steven has played in more than 10 countries and backed up several international artists. You can hear his harmonica on more than 20 albums.